Original Costume Design sketch by Roberto Williams. 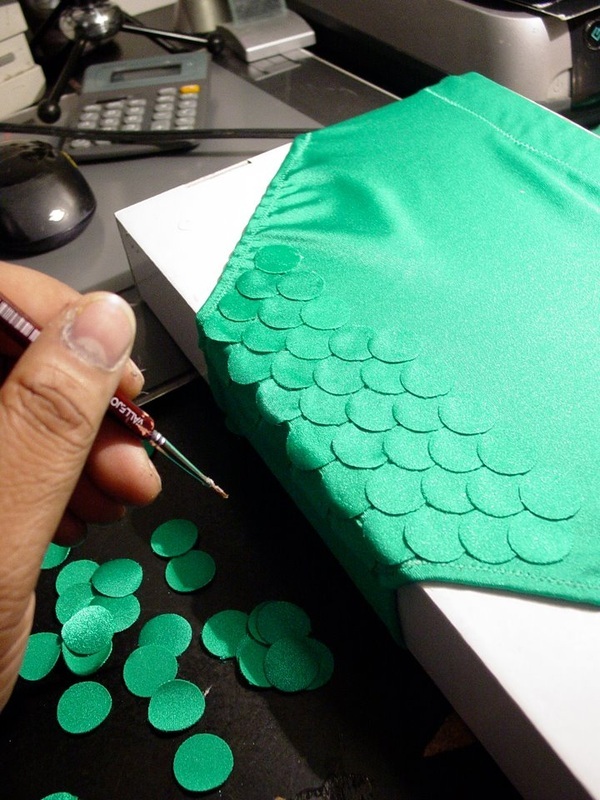 The intention from the very beginning was to fabricate Robin The Boy Wonder's trunks with a scaley chain-mail pattern to closely approximate the garment's original comic book appearance. Kelley Green lycra spandex shorts fabricated by Spandexwear.com. 3/4" die-cut lycra spandex circles provided by Deb Noll at SunshineAnnieDiecuts in Stockton, IL. 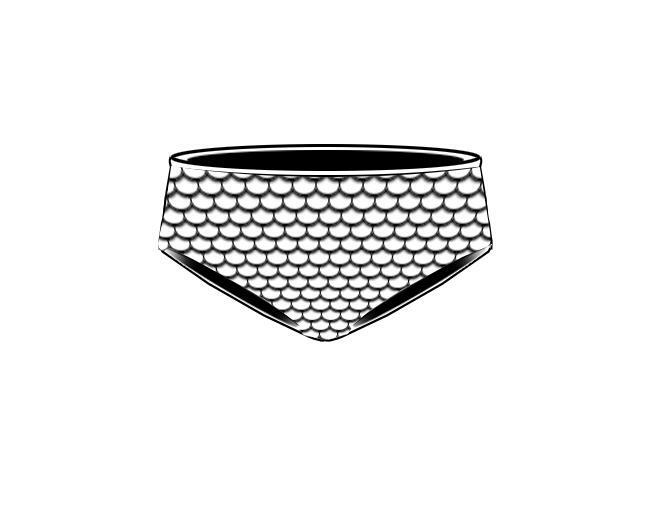 Die-cut circle chain-mail scales were individually hand glued directly onto spandex briefs by Costume Designer Roberto Williams. 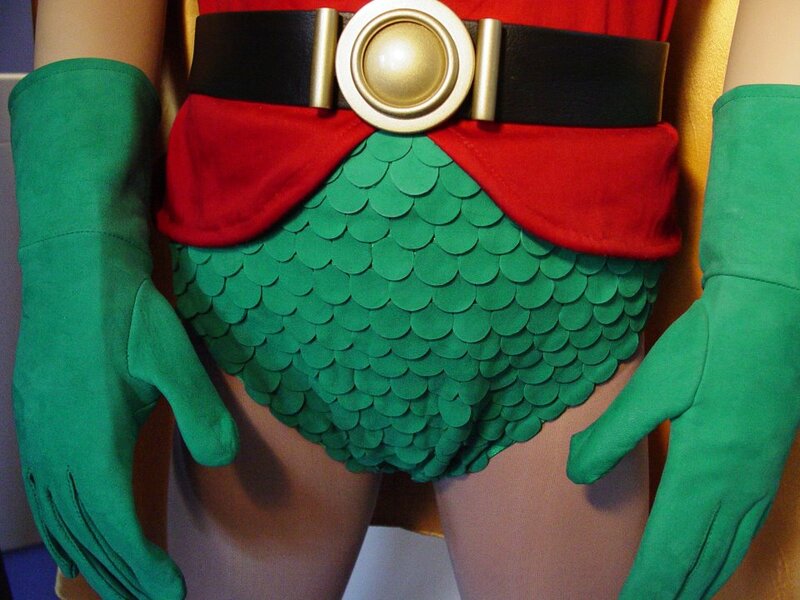 It was quickly determined that the high sheen of lycra spandex was an inappropriate texture for Robin's trunks. Under theatrical stage lights, the high-reflectivity of this fabric would give Robin's uniform a "low-quality, store-bought, halloween costume - look" that Mr. Williams was determined to avoid. 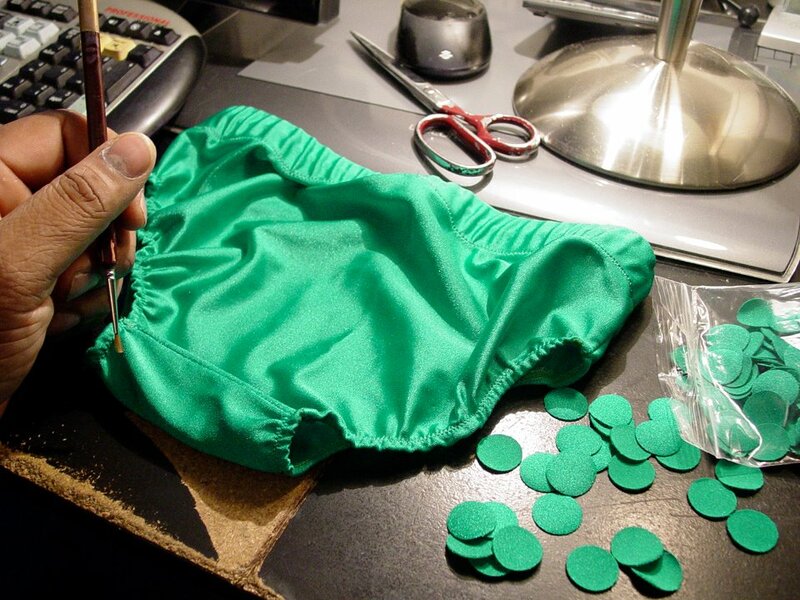 This made it necessary to pull each of the (final total) 1232 die-cut spandex circle scales off of the briefs and re-apply new ones fabricated out of kelly-green pig skin suede - leather... the same material used to fashion Robin's gloves. Final hero trunks for Robin The Boy Wonder, featuring hand-laid, leather chain-mail scales.